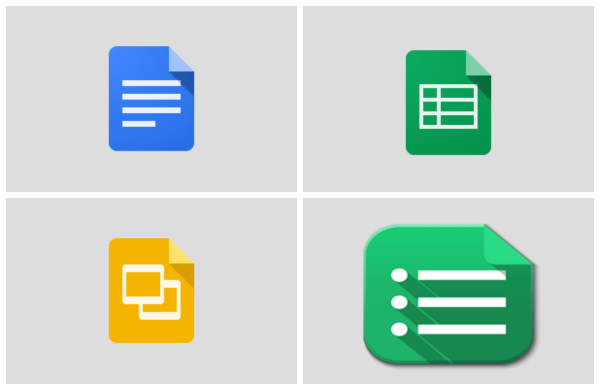 I use different internet connectivities for my network needs for example dial-up connection when I’m traveling, Broadband or PPPoE connection when I am home or Wifi where wifi network is available or using mobile hotspot. When connecting using dial-up or direct LAN cable (PPPoE) from Internet service provider (ISP), Network gets disconnected after few hours or within minutes, then again I have to reconnect or redial the network. It hurts most when I keep games on downloading and the internet gets disconnected during midnight. 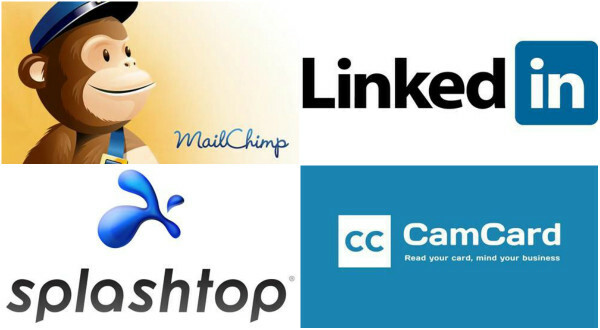 We have few software/programs which we can install and it will reconnect the internet as soon it disconnects. 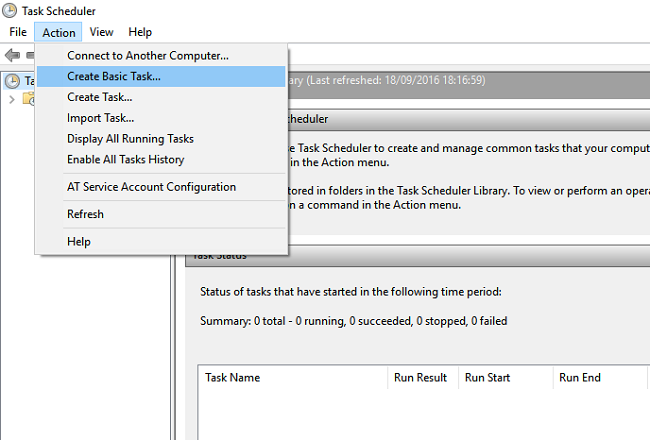 You can download reconnect from here if you don’t know how to schedule task on windows OS or don’t familiar with basic windows functionality. 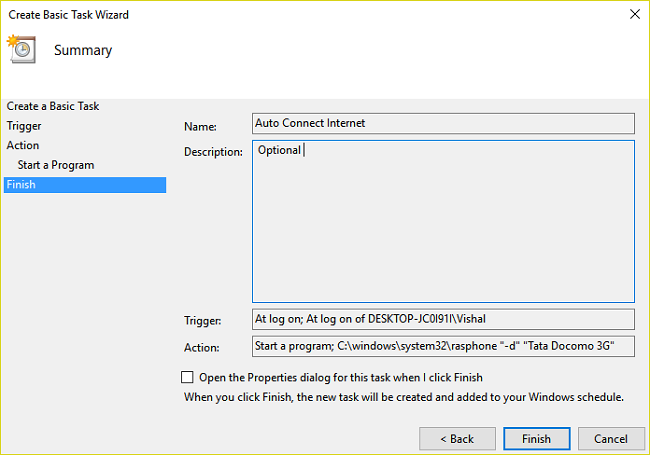 Here is a tutorial on auto connect your internet connection when it gets disconnected without using any third party software in Windows 7,8.1 and 10. 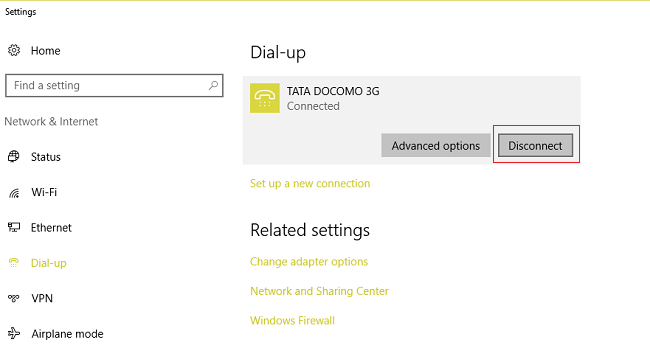 Auto Connect Dial-Up/Broadband/PPPoE connection during Windows Startup. 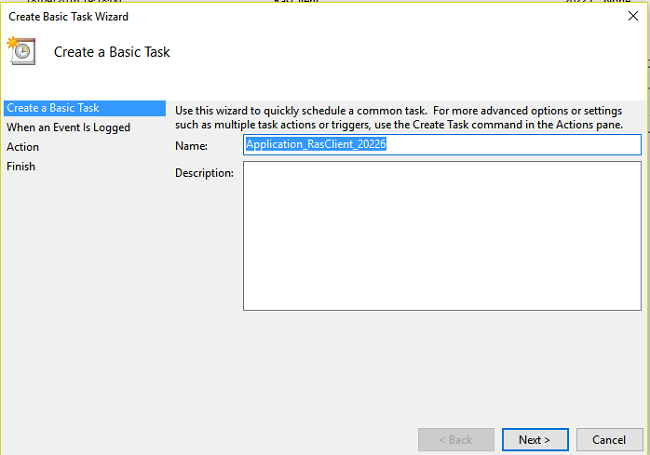 On Task Scheduler goto Action tab, click on Create Basic Task… give some name to task for ex. “Auto Connect Internet”, Description is optional, then click on next. 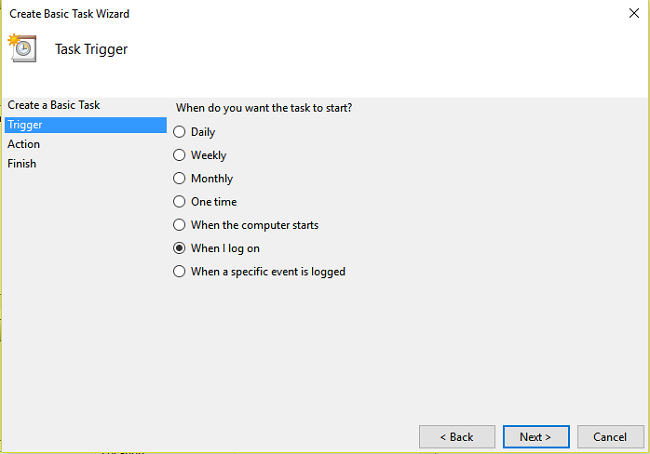 Select Trigger as “When I log On“, hit next. 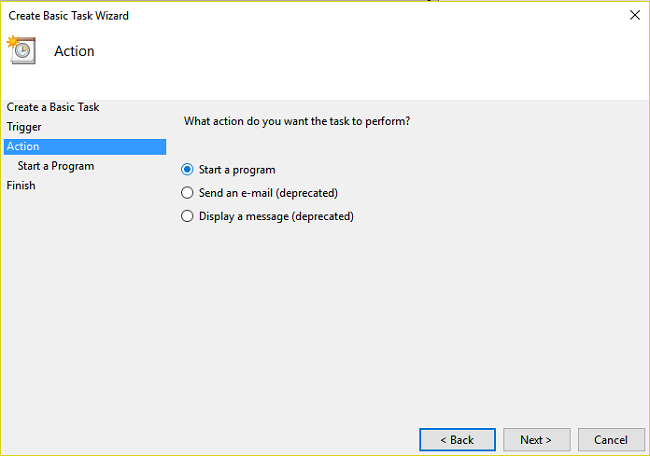 For Action select “Start a program“, hit next. 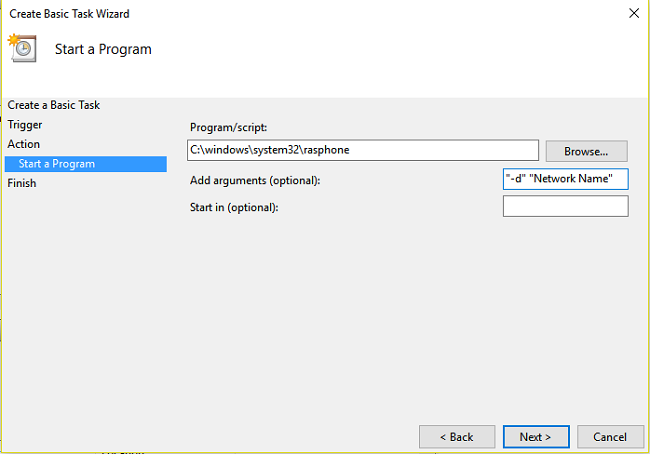 On Program/Script field write “C:\windows\system32\rasphone” and in Add arguments(optional): write “-d” “Network Name” (Note: Include quotation see image; Network Name will your network name. 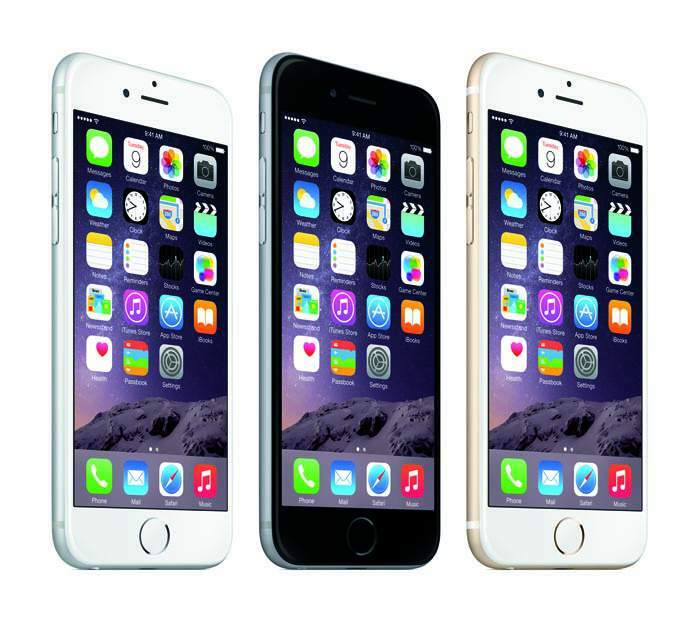 For example, I am using Tata Docomo 3G as network name, so I will be using “-d” “Tata Docomo 3G” in arguments field. Click Next and check “Open the properties dialog” (optional) click finish. 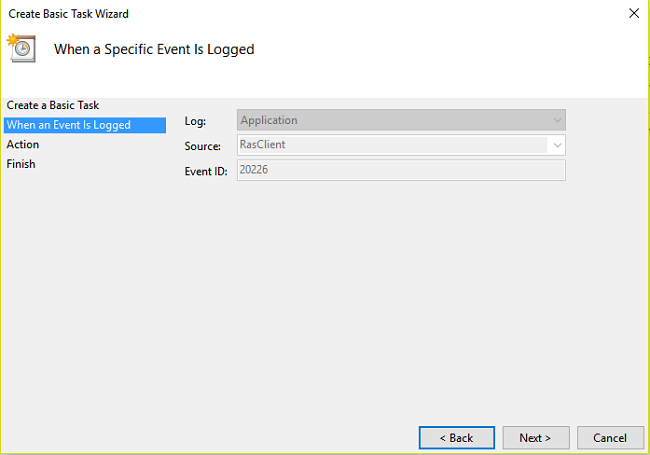 To test the Auto connect function, log out and log in, network will auto connect. 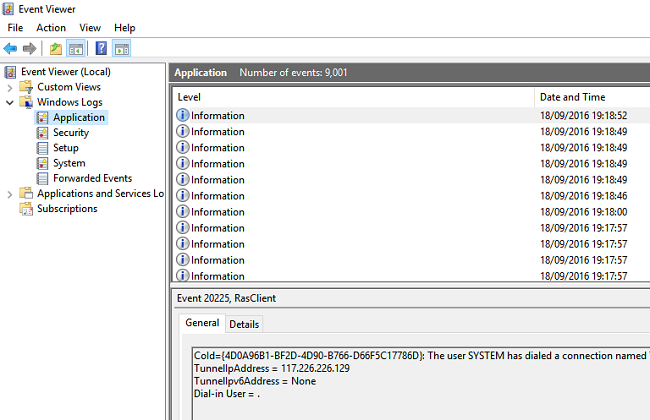 On Event Viewer Select Windows Logs – Application and Keep this screen open and goto your connected internet connection Dial-Up or PPPoE and click Disconnect. 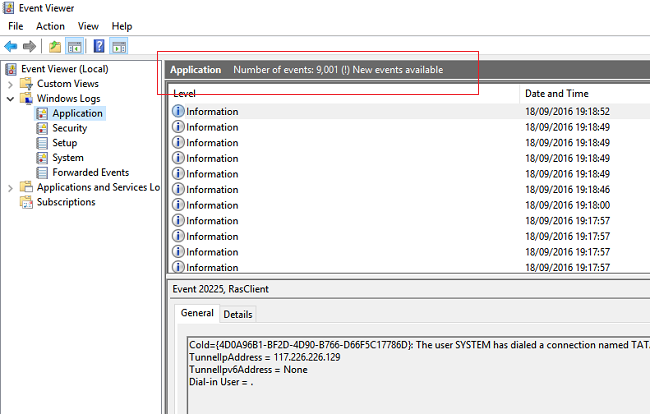 Go back to Event Viewer Tab and there you will see New Events available, as shown in the image below. Hit refresh from right side option or press F5 to refresh. You will get a new event which shows event ID and type of event when your internet got disconnected as show in below image. 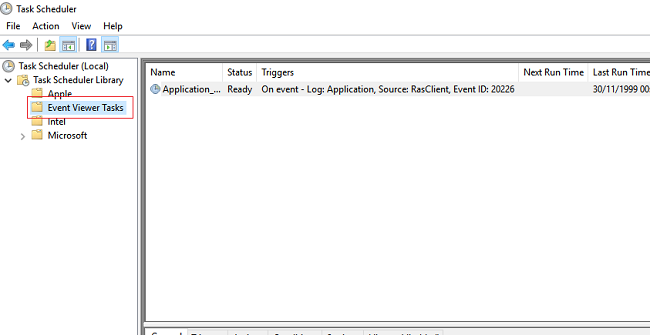 Below Image shows Log as Application, Source RasClient (Remote access server) and Event ID. 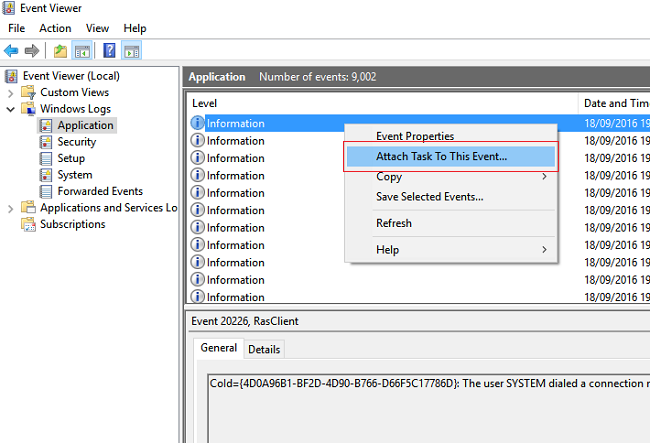 You can view and edit this task from Task Scheduler under Event Viewer Tasks as shown in below image. This tutorial applies to Windows 7, 8.1 and Windows 10. If you face any problem while setup, please ask your error or problem in below comment box.